Order now to start the New Year 2019 in the right direction. We constantly get asked from people for things to protect themselves and homes/offices from ghosts, black magick, evil intentions etc. We explain to them it is not as easy as just placing an item there and it all goes away. There are different situations with different varying levels of hautings and disturbances. However this item provides you with items to be used in your clensing of your home. What you get with this order 1 x Wafaq oil bath set. 1 x Wafaq taweez protection nail. 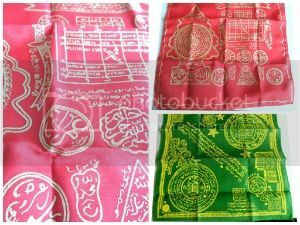 1 x Wafaq taweez cloth or Islamic handkerchief WE DO NOT SEND INCENSE CUP SEPARATELY ANYMORE AS CUSTOMS IN MANY COUNTRIES HAVE BLOCKED SHIPMENT BECAUSE OF THAT. THE INCENSE SAND IN PLASTIC PACKET WILL BE INCLUDED BUT NOT THE ONE IN THE SMALL INCENSE CUP. 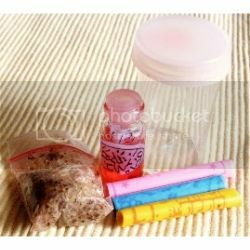 1) Wafaq Oil Bath & Home/Office Cleansing Set. This set comes with 1x red oil, 3x wafaq/koranic papers & 1x pkt salt. This set can also be purchased seperately on its own. The First step, would be to spiritually cleanse the persons involved to ensure no negative energies are lingering in their aura. Place the plastic wafaqs into a bucket a water, place a drop of red oil and leave for 15 mins. Say BisMillah 3 times on water and wash body. Further instructions can be found here. Second step, would be cleanse the home, this can be done using Garlic, Vinegar and Salt for a floor wash, start from back to front, upstairs to downstairs. Ensure that all corners are cleaned. Negative energy like to accumulate in coners for some reason. Burn the incense sand in the plastic packet on hot charcoal for cleansing of your home. Up to down back to front of house. Fifth step, Install the holy nail and cloth, wrapped it up with the nail inside as we have provided to you. 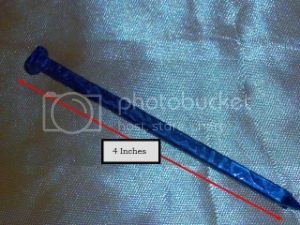 Attached it with tape above the main front door or back door. Perform the cleansing rituals once a month or so to keep the home thoroughly cleansed. All items available on our website.